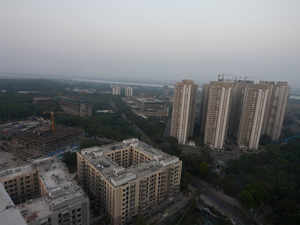 Motilal OswalNSE -1.60 % Real Estate (MORE) has invested Rs 83 crore as mezzanine debt in three projects being developed by Radiance Group in Chennai. The amount, invested by the private equity real estate fund through India Realty Excellence Fund III (IREF III) and India Realty Excellence Fund IV (IREF IV), has been utilised primarily to acquire land parcels to develop three mid-income housing projects in Chennai. “Radiance is one of the leading developers in Chennai, and it enjoys a very good reputation in south India. The investment is a new relationship for us and we are committed to build it further over the next few years,” said Sharad Mittal, CEO, MORE. The fund house recently announced the first close of its fourth fund, IREF IV, at Rs 575 crore and is looking to achieve the final close by the end of this financial year. “The investment is in line with our strategy to partner with reputed established developers at land acquisition stage and garner significant delta for our investors,” said Mittal. He said the southern market is very important for the fund. The fund has so far invested 40% of its total portfolio in the southern real estate markets. According to property consultancy firm Vestian Global, 2018 witnessed the launch of nearly 58,402 residential units in three southern cities.